The 700,000 hit occasion gift from Jen C! 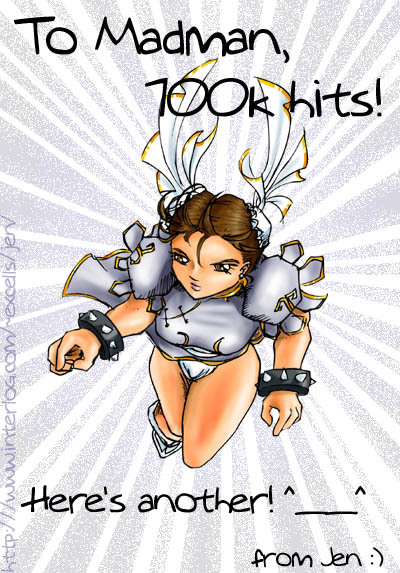 This 700K gift Chun-li gift is from Jen C, one of the coolest members of an artist group called OFU! Thanks a muchas lot for the Chun-li, Jen!